Hyundai recalls Sonata to prevent engine fires and recalls Accent for brake light switch from hell. September 25, 2015 — Hyundai is recalling about 570,000 cars to prevent engine fires and to once again wrestle with the haunting brake light switch from hell. About 470,000 Hyundai Sonata cars are recalled to prevent possible engine failures or engine fires. The automaker says the 2011-2012 Sonatas are equipped with either a 2-liter or 2.4-liter "Gasoline Direct" injection engines. Hyundai says manufacturing problems could have left metallic debris around the engine crankshaft and cause problems with oil flow. The pieces of metal could interfere with the oil flow through the connecting rod bearings and damage the connecting rod. The 2011 Sonata was the first Hyundai vehicle to use an engine built from the Alabama engine factory. The automaker says in the beginning, a mechanical "deburring" process was used to remove metallic machining debris from the crankshaft. However, in April 2012, a change was made to a high pressure "wet blast" cleaning procedure. 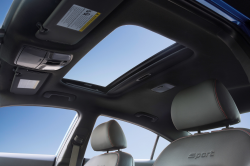 After time and with the cars on the roads, Hyundai noticed an increase in warranty claims related to loud noises and engine lights illuminating. 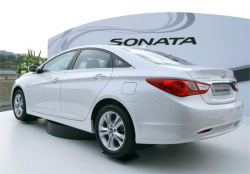 Some Sonata owners said their engines stalled and many additional customers complained the events occurred after the warranty had expired. Hyundai says it was still left somewhat in the dark because most of the customers didn't report how fast the cars were traveling when they stalled. 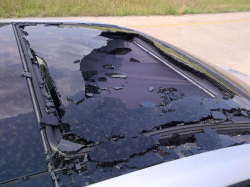 However, customers did report their cars could be restarted and moved off the roads. 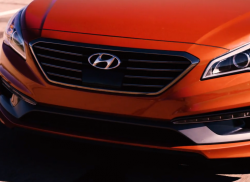 By June 2015, the National Highway Traffic Safety Administration (NHTSA) was asking questions and Hyundai answered that it didn't think the problem was safety-related because Sonata owners always had ample warnings that something was wrong with the cars. The decision to recall the cars didn't occur until NHTSA said it had concerns about cars stalling at high speeds. Although there have been no reports of accidents or injuries related to the problem, Hyundai decided to recall all the Sonata cars. The recalled 2011-2012 Sonata vehicles were manufactured December 11, 2009, to April 12, 2012, and again, the recall affects only 2-liter and 2.4-liter gas direct injection engines. Hyundai doesn't know when the recall will begin because the automaker doesn't have the necessary parts. Owners will first be notified around November 2, 2015, then a second notice will be mailed once replacement engines are available. 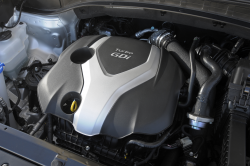 Hyundai dealers will inspect the cars and replace the engine assemblies if needed. 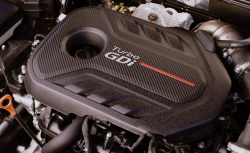 In addition to that, the automaker will increase the warranty for the engine short block to 10 years/120,000 miles for 2011-2012 Sonatas built at Hyundai Motor Manufacturing Alabama and equipped with 2-liter and 2.4-liter gasoline direct injection engines. Owners of the affected Hyundai Sonata cars may contact Hyundai customer service at 855-671-3059 and give them recall number 132. Another 100,000 Hyundai cars are recalled to fix problems with the brake light switches in the 2009-2011 Hyundai Accent vehicles. The automaker says the brake light switch can malfunction and cause the brake lights to fail and also cause problems with deactivating the cruise control feature. The defective brake light switch can also block the gear shifter from the ability to move out of the "PARK" position. Hyundai says the recall should begin November 2, 2015, when dealers will replace the brake light switch in the recalled Accents. Owners of the 2009-2011 Hyundai Accent can contact the automaker at 855-671-3059 and reference recall number 131. Hyundai/Kia and brake light switches haven't had a good working relationship over the years. The recall of the 100,000 Hyundai Accent cars is an expansion of a 2013 recall for the exact same problems. In April 2013, Hyundai recalled over 1 million vehicles to replace the same defective switches. The vehicles included in that recall were the 2007-2009 Accent and Tucson, 2007-2010 Elantra, 2007-2011 Santa Fe, 2008-2009 Veracruz, 2010-2011 Genesis Coupe and the 2011 Sonata. Also in April 2013, Kia recalled 623,000 vehicles to replace the same brake light switches, including in the 2007-2010 Kia Rondo and Sportage, 2007-2011 Kia Sorento, 2007 Kia Sedona, 2010-2011 Kia Soul and the 2011 Kia Optima. The defective switches were causing the brake lights to fail, the cruise control to stay activated when it wasn't needed, problems with the push-button start feature and the switch caused the gear shifter to get stuck in "PARK." Have a complaint about your Hyundai vehicle? Add your complaint here, about any vehicle. Or click below to read owner-reported complaints about the Hyundai cars named in the recalls.